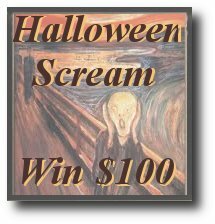 One Mom's Moxie: Halloween Scream Giveaway!!! Welcome to our spooky Halloween Scream Giveaway hosted by Generations of Savings and Beauty Brite! A fabulous group of blogs have teamed up to offer our readers an amazing 'Treat' for Halloween! Reader Prize: $100 Paypal Cash!!! 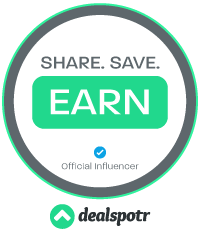 We are also offering a Blogger prize of $20 to participating blogs which will be chosen by Rafflecoptor. Please enter on the form below. Comments will not count as entries and can be used for questions only. You only need to enter once on any of the participating sites. The form is the same on all of the blogs. This giveaway is open WW (payment in US Dollar) and will start Wednesday, 10/12 at 12:01 am and end on Sunday, 10/30 at 12:01 am. Hi elizabeth! Following your blog now. Followed you from On The Flip Side. Look forward to following. Following you back! WHat a fun blog you have! Hey, thanks for stoppin by and for following my blog. I am following back and have entered this giveaway. Keepin my fingers crossed! Hi! Linkingup from MBS and now that I have found your giveaway, will be joining in. New follower on board!